So after spending hours trawling around the net trying to find a bag, I decided I would wait until I settled on a coat. Heaven help me if they didn't coordinate, and the coat seems like a bigger investment than a bag. Nick advised me that for travelling I needed something warm, windproof and waterproof. As soon as he said these words my mind wandered back to last Winter at the High1 Ski Resort in Korea. It seemed like every single girl there had these amazing coats like I'd never seen before. 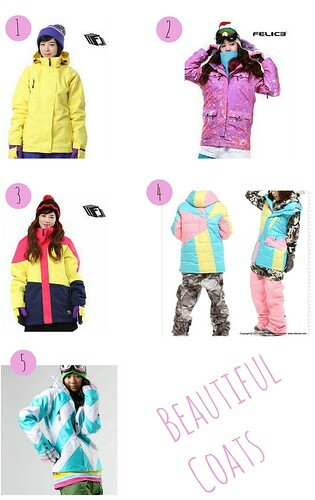 They were practical, colourful and somehow girlie at the same time, so after a bit of hunting, I managed to find a few Korean Snowboarding Websites and stumbled across an array of beautiful coats. 1. I love how lemony this coat is. It's like a sherbet lemon in coat form. 2. This coat reminds me of a super nova, a big messy blast of purple stars. What more could you want from a coat? 3. My sensible choice. I love the colours, although the red looks more neon pink in some photos which put me off a little, but at least they are darker colours so it wouldn't look dirty so quickly. 4. My absolute favourite coat that I think I ever saw. I love the colours and I love the pattern on the back, and also it has detachable sleeves...ingenius! 5. I like the white and blue colour together and how clean this coat looks. But, knowing my track record, it wouldn't stay that colour for long. It took less than 2 minutes for Nick to shatter my beautiful coat dreams, as he pointed out that all of them would be far too heavy to carry around when I wasn't using it (which will be the majority of the time). Boo. 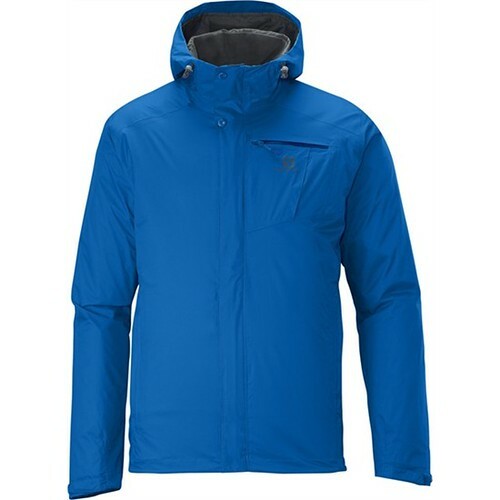 But if anyone does need a snowboarding jacket, then I would seriously look at some of these websites. They're some pretty snazzy coats, really cheap prices and not to mention the impressive posing that's going on. In the meantime, while you treat yourself, here is the coat that Nick has recommended to me.